LiveCode LessonsData GridLiveCode Data Grid Working With Data Grid TablesHow Do I Customize Column Sorting? This lesson will demonstrate how to customize sorting for columns by handling the SortDataGridColumn message that is sent when the user clicks on a column. 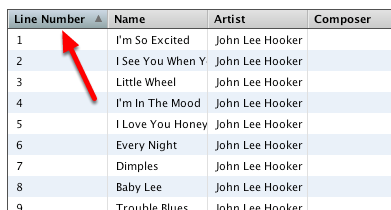 I am going to customize when happens when this table is sorted by the Line Number column. In the script for the data grid I added the above handler. SortDataGridColumn is called whenever the dgProps["sort by column"] property is set. This includes when the user clicks on a column header to sort. The way SortDataGridColumn works is simple. 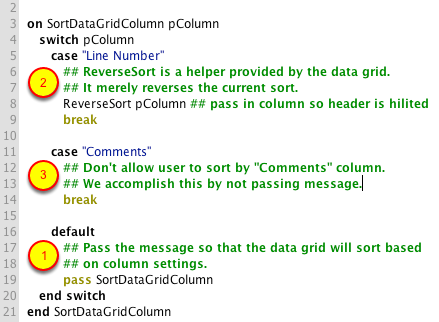 If you pass the message then the data grid will use the default column sorting routines (1). If you don't pass the message then the data grid will not perform any sorting (2) and (3). I want Line Number to just reverse the current sort so I call ReverseSort which is a built-in data grid helper that reverses whatever the current sort order is(2). Clicking on the Line Number column now reverses the sort. ## Place in Data Grid script. ## to the internal routine that the data grid uses. ## The first item is the index of each record stored in the data grid. ## The second item is the key you are going to sort on. Prev: How Do I Display Line Numbers in a Table? 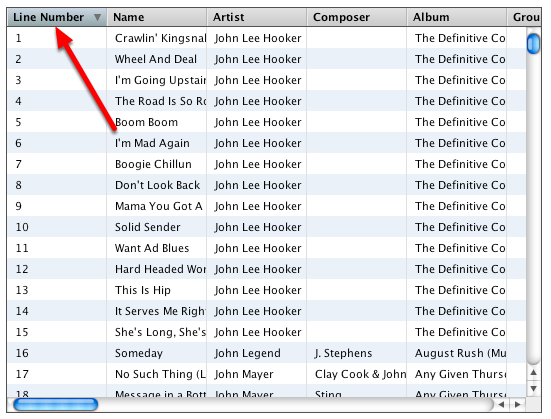 Next: How Do I Disable Column Sorting?